On previous account, companies like Sony and Fujitsu have vegetables indoor too. 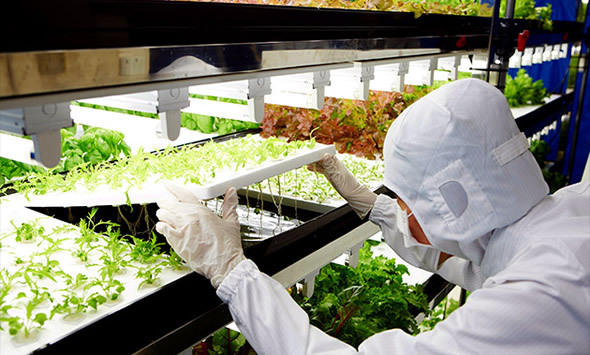 While the former converted a closed semiconductor factory in Miyagi prefecture into a lettuce growing indoor farm, the latter now grows low-potassium lettuce in Wakamatsu. Is this yet another innovative way to keep employees from playing FarmVille at work? We’ll leave that to the Human Resource realm to figure out.